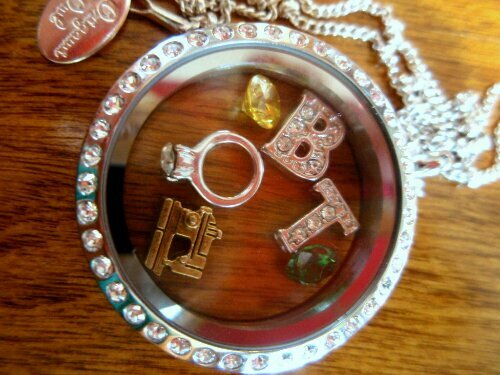 I just got my Origami Owl Living Locket yesterday and I’m in love with it! I had never even heard of Origami Owl before my good friend Jo had an online party. I just love it and am looking forward to adding more charms to it. You can buy these online through Origami Owl, but it would be better do buy through a party as the hostess gets rewards and there is no difference in cost. Plus, my OO “designer” (the consultants are called independent designers) boxed mine up all pretty and my charms were in my locket when it arrived. The locket opens up and is magnetized. These are so awesome!